The result leaves the Super Eagles bottom of Group D.
But what other things did we learn from the game? 1. Rohr got it all wrong: We all know that 4-3-3 is his beloved formation, but it was obvious from the last friendly matches that 3-5-2 suits this team. 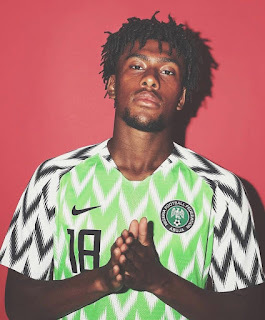 Because it is the formation that brings out the best in Alex Iwobi, who is by far the creative hub of this team. And also free the wingbacks to provide width, while Mikel Obi and Wilfred Ndidi bring solidity at the base of midfield. 2. Croatia were not that special: For all the talk of their firebrand midfield, the Croats didn’t exactly blow the Super Eagles away. What gave them the edge and ultimately the victory, was the fine margins in football. It would be interesting to see how they fare against Argentina in their second game. 3. All or nothing: The Eagles take on Iceland in the next match on Friday. Before the tournament, this was a game we wrote off as three points. However, having played a creditable 1-1 draw with Argentina, you can’t toss Iceland aside. But for Nigeria, it will be all or nothing. Anything other than a win, means they are out. 4. Unlucky Etebo: Oghenekaro Etebo had a decent game overall. He was a mobile and energetic presence in midfield and repaid Rohr’s faith. There was nothing he could do about the first goal Nigeria conceded and I hope Rohr sticks with him for the next game. 5. Bad subs: Rohr has earned a reputation for being a ‘second-half coach’. However, his substitutions were very poor. First, he didn’t revert to a 3-5-2. And when he had to pull out a player, it was Alex Iwobi! Not Mikel Obi. Or Victor Moses. Even Kelechi Iheanacho seemed to slip onto the pitch. A real mess.